We’re just under 2 weeks until Christmas, so the needles are full speed ahead. This week Angie has a free super chunky cowl knitting pattern! Like many knitters, Christmas is high season for me. My family loves the handknits I give them each year, and it seems like each year my list grows to include new friends that I want to knit for as well. With a list that size (even though I check it twice, to see who’s naughty and nice), it can be quite an undertaking. When I found Knit Collage Pixie Dust yarn, my world of Christmas knitting was transformed! Each super huge skein is shot through with beautiful twinkling shimmer, and it makes a super thick cowl. Bonus: it only takes about 30 minutes to knit! Knit in stocking stitch for 30 inches or until your skein is almost done, and cast off. Seam up your scarf, being careful not to twist. There you have it – a super simple, super quick free super chunky cowl knitting pattern to make sure you get to everyone on your list this year. Happy holidays! Love free patterns? 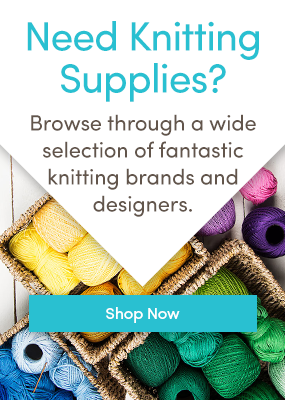 Follow us on Bloglovin’ and get free patterns delivered straight to your inbox. I use any pattern going and if need be repeat the width pattern. Or, easier still, make horizontally, chaining as many stitches as you need (I take multiples of the original pattern without any edging stitches) and just keep going until I have the width I want.